Bragg Apple Cider Vinegar is a product that was brought to popularity by Paul Bragg, who was a natural health teacher starting in the 1920s. Health and fitness king Jack Lalanne credits Bragg for pointing him in the right direction when Lalanne was just 15. The Bragg business is carried on by Paul’s daughter, Patricia. Consuming Bragg Apple Cider Vinegar regularly is said by proponents to have many health benefits. The Bragg vinegar is a certified organic, unfiltered, unheated, raw, unpasteurized product. 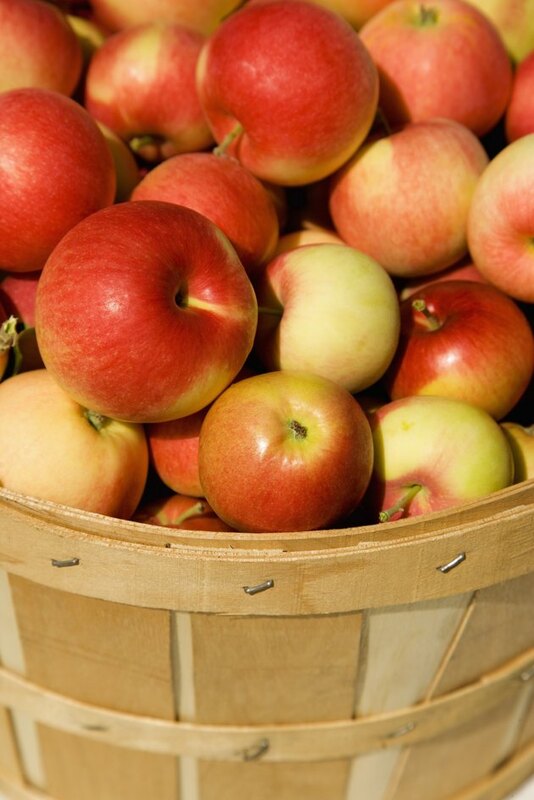 Pectin from the apples helps to form a strand-like substance known as “the Mother,” which according to the Bragg website shows that the best part of the vinegar has not been ruined or destroyed. According to the Bragg website, apple cider vinegar can help get rid of hiccups, relieve muscular pain due to exercise, clear up skin, clean hair and regulate weight. A University of Arizona study, reported in the Diabetes Care journal in 2004, showed that Type 2 diabetes patients who took apple cider vinegar at bed lowered their waking glucose levels by up to 6 percent. The Bragg website suggests a cocktail taken three times per day for maximum health results. The cocktail consists of 1 to 2 teaspoon of apple cider vinegar, 1 to 2 teaspoon of raw honey and a glass of distilled water. Apple cider vinegar can also be taken straight by the spoonful, or added to salad dressings as the acidic component. The Bragg website does not detail a specific diet to follow to go along with daily vinegar use, but it does include general guidelines. Consume a diet that is low in fat and sugar, high in fiber, consisting of organic fruits and vegetables, whole grains, beans, brown rice, salads, sprouts, raw nuts and seeds, juice and distilled water. It is important to keep apple cider vinegar out of direct sunlight for the best possible product. Consult your doctor to ask about combining apple cider vinegar with any medications you may be taking. Diabetes Care: Vinegar Improves Insulin Sensitivity to a High-Carbohydrate Meal in Subjects With Insulin Resistance or Type 2 Diabetes"
Can Apple Cider Vinegar Damage the Stomach or Esophagus? Does Taking a Spoon Full of Apple Cider Vinegar Every Night Really Help You Lose Weight?